not working or performing as it should. Do you need an AC company in Charlotte that can take care of anything your home’s comfort system may need? Give us a call. We provide repairs, maintenance, installations, replacements, and routine service calls. We offer the very highest level of quality in service for great prices. Our staff are highly trained and can fix any problem your air conditioning or heating system you may have. Call now get a free estimate! Call us now if you need help! After over two decades of experience, we’ve seen it all, and can fix it all. We always aim for repairs, and never try to sell you something you don’t need. 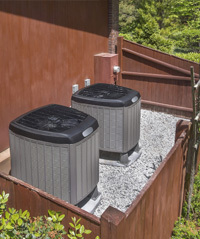 We know a lot of AC companies in the area will look at a broken air conditioner as a way to sell you a new system, but we don’t. Our staff aren’t afraid to get their hands dirty and throw in some elbow grease to get your AC up and running again. If you need help from an AC company that has your best interest at heart, give us a call now. 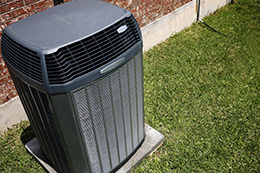 We service all makes and models of air conditioning, include Carrier, Trane, Bryant, Lennox, and the others. Whether you need repairs done to get your system going again, or you’re in the market for a new air conditioning system, give us a call. 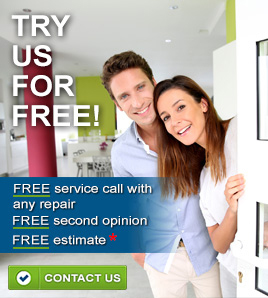 We offer free estimates on our services, and a free service call with any repairs. We’ll show you how to keep your AC going for longer, for less! Whether you’ve got a heat pump, a gas furnace or an electric furnace that’s keeping your home comfy, we can service it! As an AC company in a region that gets quite cold for much of the year, we’re more than able to fix or install heating systems for your home, too. Not only can we do routine tune-ups and repairs, but we can also convert your electric furnaces into gas models. If you need a heating company that can service your home’s system well without charging an arm and a leg, give us a call. We offer an HVAC maintenance plan that keeps you comfortable all year long. For only $15 a month, members of our VIP program can reap the benefits of comfort year-round! One of our technicians will check your system twice a year, before the summer, and again before the winter, to ensure it’s ready for the coming season. At that time, any needed repairs or tune-ups will be done. That means that you can go into the season with confidence that you won’t have a breakdown or major problem when you least expect it. Not only that, but if you do end up needing repairs in between visits, we’ll give you priority service, as well as 10% off. Call to sign up for our HVAC maintenance program today! We are proud to be an AC company that does what we say we will, and that shoots to give our clients the very best in the business for a good rate. Whether you need urgent help, or have a question about a future need, give us a call. Our staff are here to help you in any way we can. Got questions about your system? Call us today, we’re here! We are an AC company in Charlotte, Matthews, Waxhaw and nearby areas.